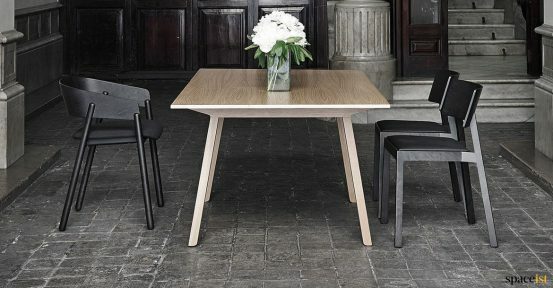 Modern high meeting table with a real wood 2mm veneer top and solid oak leg stained in ebony. 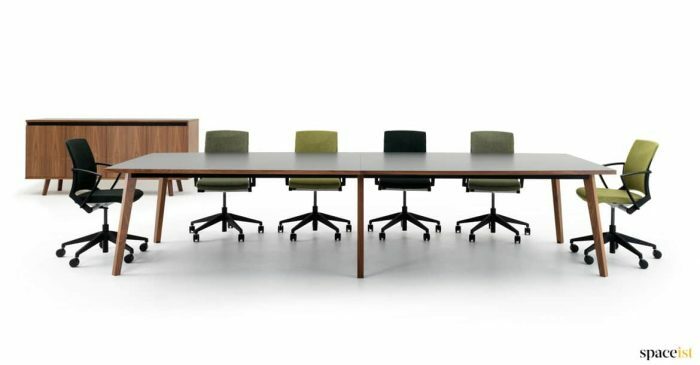 Choose from three sizes to seat 4, 6 and 8 people. 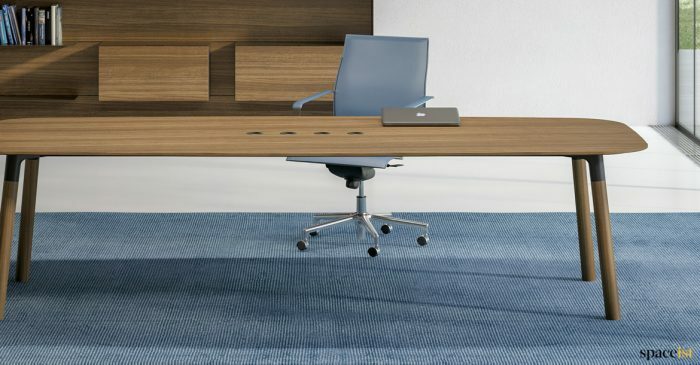 Cable management options include a cable hatch and a USB socket can also be located in any part of the top. Choose from 8 wood finishes which include oak, walnut, dark stained walnut, oak, whitened oak, ebony, dark grey & sienna grey. 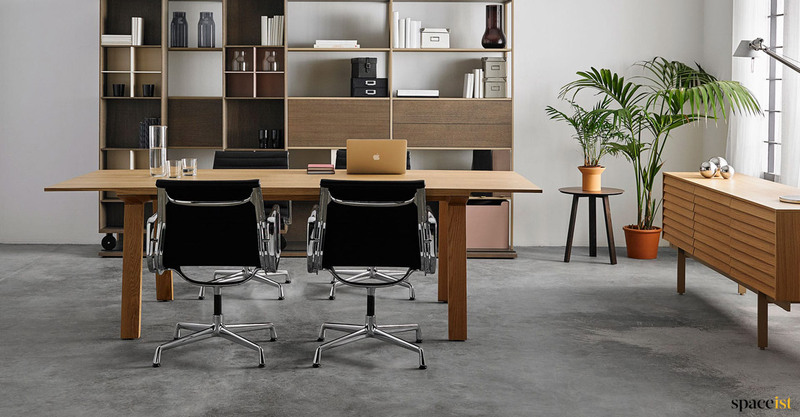 The Stockholm meeting room storage cabinet matches this walnut table perfectly. 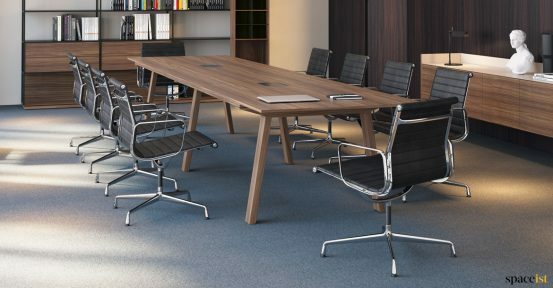 Executive meeting table made with walnut real wood veneer & solid wood leg. 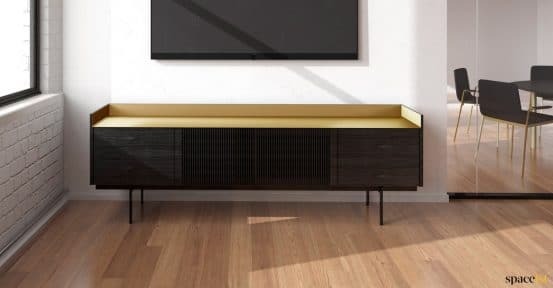 Full cable management includes hatch, tray & cable sock. 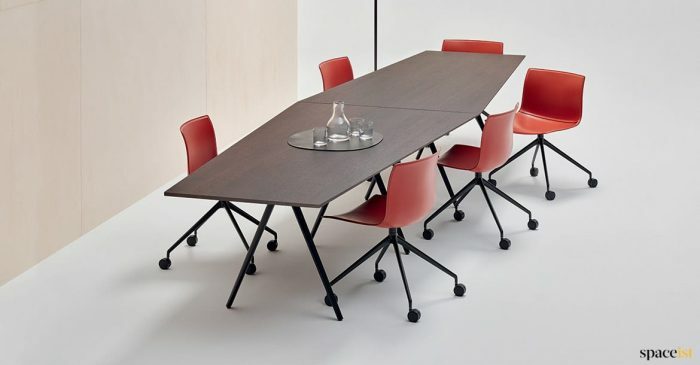 Modern styled large meeting table with a solid oak or walnut leg. 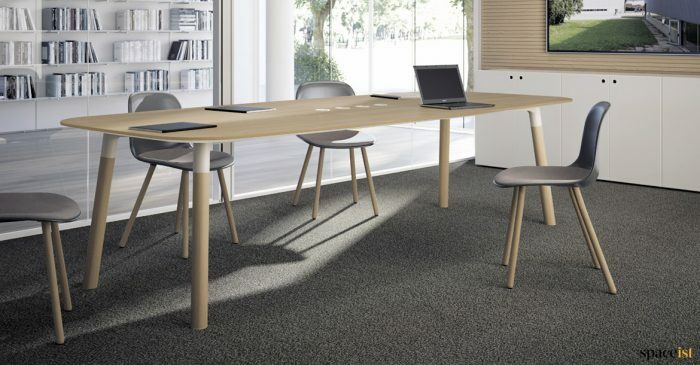 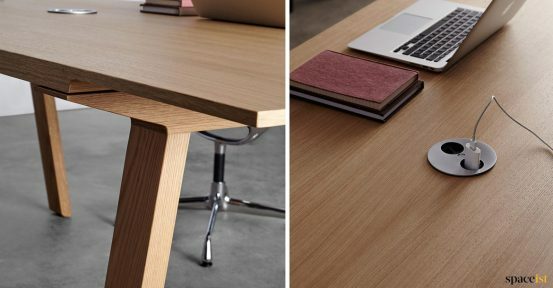 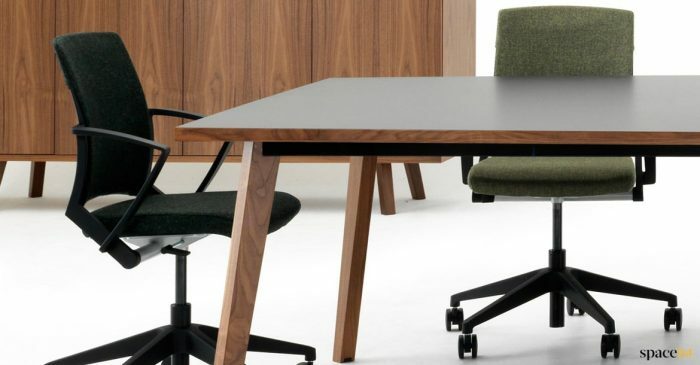 Stylish angled meeting table in oak or wenge veneer. 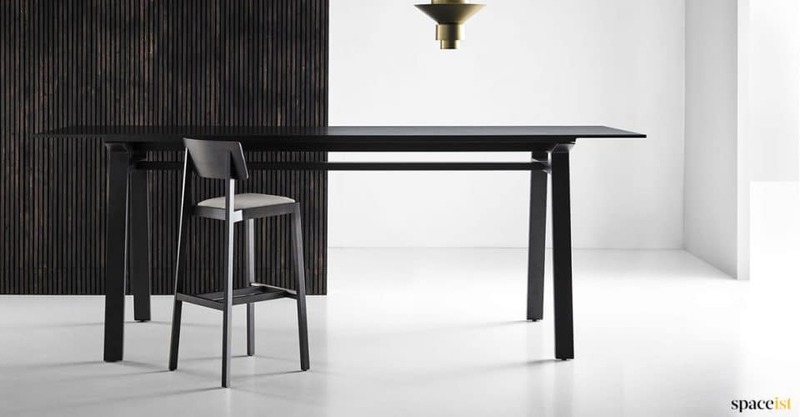 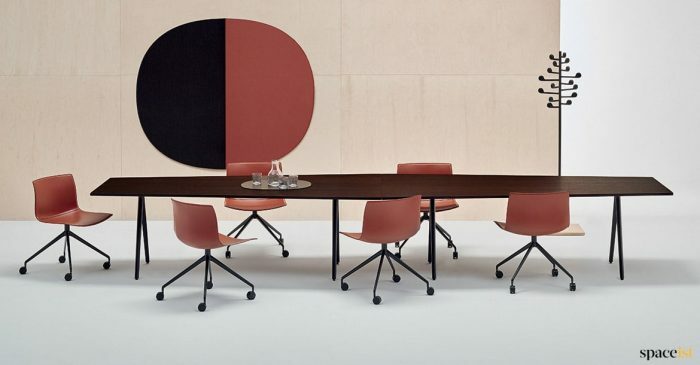 This modular table can come in one, two or three pieces to seat 7, 14 & 23 people.